Things have been pretty rough over at Deutsche Bank recently what with Brexit, no bonuses, LIBOR investigations and stress tests. But, hey, at least it hasn&apos;t seen income get cut in half. Deutsche Bank AG on Wednesday said its second-quarter net income fell 98% from a year earlier, hurt by weaker performances in trading and investment banking, as well as restructuring costs. The German lender said net income fell to €20 million ($22 million) from €818 million a year earlier, while net revenue dropped 20% to €7.4 billion. The bank beat average net-income forecasts of analysts, whose expectations had ranged widely from a quarterly loss of more than €1 billion to a profit of more than €500 million. That&apos;s not great. 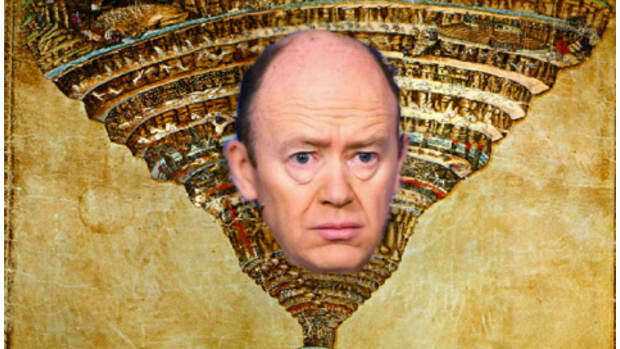 And it&apos;s yet another kick in the schwanz for John Cryan just a year into his tenure at the top of Deutsche. How&apos;s he taking it? 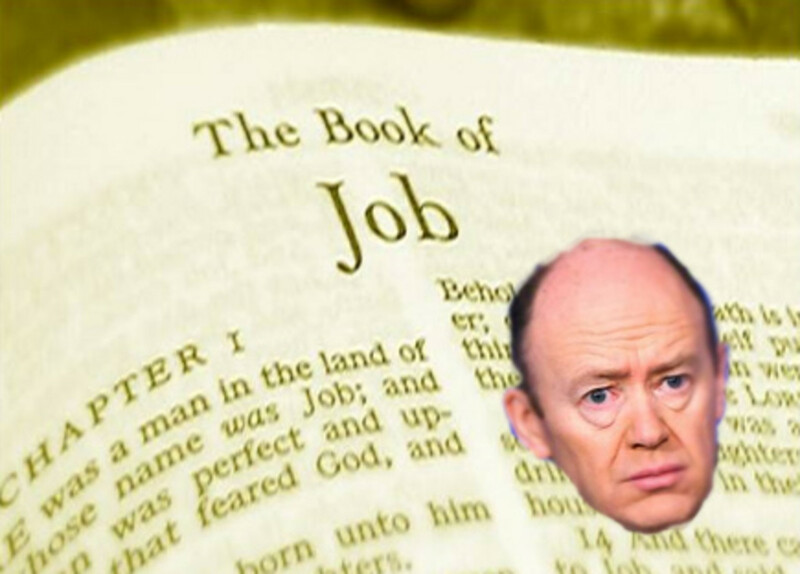 Chief Executive John Cryan told analysts that the German bank must do more to control costs, and warned of “more ambitious” steps if market conditions remain difficult. He also said that banking customers will increasingly feel the impact of low interest rates, a fundamental symptom of Europe’s economic woes. 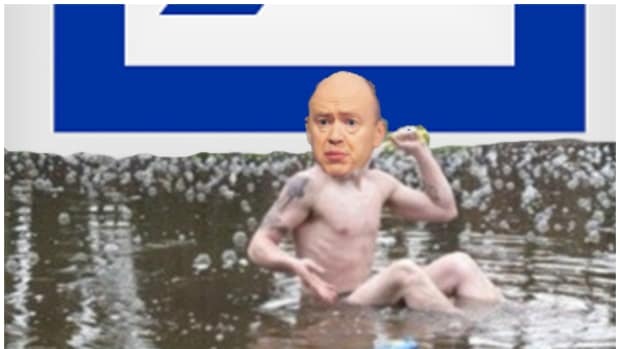 “We don’t think that banks will just sit there and absorb the costs themselves,” Mr. Cryan said on a conference call after the bank released earnings. Banks will likely increase fees and take other measures to pass on the pain, he said. Don&apos;t get too comfy Deutsche Bankers. At today's DB, layoffs are almost clemency. 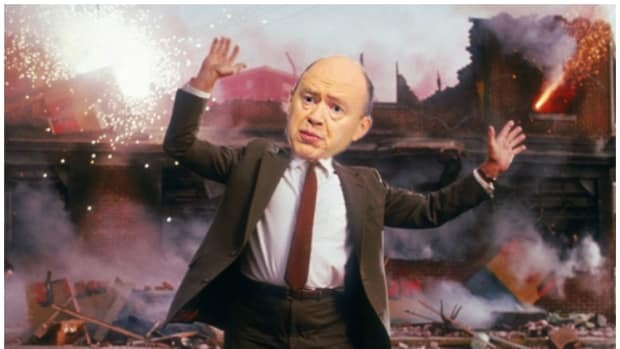 Analyst Downgrades Deutsche Bank To "Basically Fucked"
Autonomous pretty certain that the fall of The House of Cryan is nigh. The House of Cryan is attempting to create the politley Lutheran clawback.